Stairlifts may at first look to be complicated pieces of machinery, but you can relax with our help and assistance as we aim to make the whole process very easy. We are also one of the top companies in the UK for the sheer quantity and quality of their customers feedback. It may surprise you to know that installing a stairlift on your staircase will take less than an hour. Our curved models might take a little longer – and will probably be completed over an afternoon or morning to suit your availability. If you’ve any questions at all please ask us. 2 What is a stair lift? Each lift is designed to help anyone to climb and descend the stairs in their home, in a more sure and safe way. Because not all staircases or lifts are the same, they should be designed to fit your own unique and individual needs. There are 3 main types of design: straight travelling in a straight line, curved that can go around the corner & perch which are a stylish solution for anyone who can not bend their knees or stand safely enough. The exact model you need will be dictated by the kind of stairs you’ve got in your home and your own physical needs. As every stairs are different & everyone’s needs are also different as well, a reputable company always assesses you and your stairs as a unique and bespoke installation, rather than a one size fits all policy. Regardless of whether your stairs are narrow or wide or curved or straight it is highly likely we will have a chairlift that can be installed on your stairs. Spiral staircases are our speciality! If you’ve a few steps outside in the garden, we can arrange a surveyor to get one suitable for outdoor use, which are waterproof so as to carry on working irrespective of the weather. The only thing that’s common with all our lifts is that each one will be a perfect fit for someone’s home. Maybe someone like you? Call us to see how we can help. Most stairlifts have comfortable seats (complete with seat belts!) But if you’ve trouble sitting, or your stairs are very narrow, you can get a perch lift. The perch has a padded section that replaces the seat & provides a small support for leaning against when using it, much like a padded yet comfortable bar stool. If other people will be using the stairs, you can have the option to fold the seat down of the unit when not in use. Even if the user does live alone & doesn’t need to consider other people’s needs accessing their upstairs, a carer, doctor or decorator may be impeded if an old & bulky second hand lift has been bought to save money, as it could block the stairs unnecessarily. A swivel chair can help, if you can swing the chair around to face away in the direction of the landing at the top, it can make getting off the lift easier. The swivel is easy to operate, by pulling a handle under the seat to allow the chair to swing round. An easier option, and one to bear in mind if the user has a degenerative condition that may affect their hand mobility, is to take up the option of a powered swivel seat. These are usually available with a small additional cost, depending on the brand chosen. All models generally come with 2 controls – 1 to turn them on & off, & another to control movements. There is a wide range of controls, from simple switches to the joysticks & buttons – & all modern lifts have remotes. The best selling budget lift in Britain has rocker switches on each arm of the chair so that the user can control it even if they have a mobility restriction. Most chairlifts (as they’re also often called) are controlled by built-in rechargeable batteries – continuously recharged by the mains – so in case of a power failure, the lift will carry on working! A digital diagnostics panel would display a code if you ever had a problem with the performance of the lift. Then a quick read of the manual or a call to the manufacturers twenty-four helpline will help resolve any worries you had. Some people might be worried about how the lift will look in their home. They may think “Can I hide a stairlift?” thinking that they don’t want to admit they have a genuine need for help on the stairs, or they think it might be unsightly on their staircase. However all modern day brands are now designed to fit into different types of decor and some manufacturers even employ specialist interior designers to ensure theirs look good. When the surveyor visits to discuss your needs, make sure to tell them that the look of the chair lift is important to you and he should be able to give you a swatch of different seat colours. The most economical model of lifts come in a blend-into-anywhere light beige colour. As the lift is fastened to the stairs instead of the wall, any existing decoration in the hall and on the stairs will remain unchanged. Here, I would like to give some interesting information as to the origin of this device, sometimes called a chair lift, followed by a comprehensive guide of the manufacturers and their products. In the early 1920’s there was an entrepreneur in Pennsylvania, USA who had figured out a way to assist his friend, who had polio, to go up and down stairs. He had built what he called an inclining chair in prototype form which then went on to commercial production as the Inclinator. However, modern historians, particularly David Starkey, have highlighted the fact that the earliest mention of a stairlift can be traced back to no less than Henry VIII. The king who had been injured when horse riding, had used a giant chair that was brought up the stairs of his London residence by a rope and block system. The stair lift in modern times is often known as a ‘Stannah’ just as a ballpoint is a biro or a vacuum cleaner is a hoover. Stannah, of course still a principle manufacturer, and having been around since the 1970s, is the name that many people immediately associate with the product and is the oldest lift manufacturer making them in the UK. So that particular model lasted over 20 years! Who knows how much longer it could have gone on for, without needing attention or repair, as when we had the stair lift professionally removed, it was due to emigrating abroad, not that it was faulty in any way. Whilst the industry is still a small one by comparison – there are now several large manufacturers satisfying the increasing demand for a facility that enables people to stay in their homes and make full use of the upper floor. In the past decade – the Acorn empire has entered the world market starting from grass roots in Yorkshire – to become the biggest producer in terms of units. They produce a reliable slim line and economically priced lift that is sold in many countries. Possibly directly because of Acorn – the cost has become a lot lower in the past few years – and during my involvement in the industry in the past few years – I have seen quality improve and prices drop considerably. In 2008, Acorn bought Bison Bede – mainly to have the potential to manufacture their very own curved track system – previously they had relied on supply from other makers. Acorn also now own Brooks too – which was purchased out of liquidation for a nominal fee. The straight Brooks lift is in fact the same as an Acorn, yet as it usually marketed through trade companies at a lower cost – it has a separate branding. The colour is a standard gold/beige – but it is in fact an Acorn, made by Acorn and often factory fitted by them on behalf of another smaller company. Effectively, the order is often taken by a local care shop or small mobility company – who then sub contract out the job to them. This is quite an ethical arrangement – and no different than looking at Heinz Beans and Tesco Beans being next to each other on the same supermarket shelf at differing prices. We all know this is virtually the same product with a different hat on. It is called re-branding. Why not ask us for some of the Acorn reviews we have, from our satisfied customers? Minivator are owned by Handicare a huge European lift and healthcare company which globally is bigger than Stannah in turnover. Minivator are also known as Companion and operate as a marketing partner of AgeUK. Their Minivator 2000 will fit the narrowest staircases as it will run tighter to the newell post of the stairs than any other brand. Their curved prices are also quite reasonable starting from £3850 for that particular model. New straight Minivators can be installed for around at least half of this figure, for reconditioned perhaps around £995 not including VAT or electrical work. It all depends on your needs, requirements and the layout of your staircase. Get in touch and we can help you choose wisely. HOWEVER… When spending hundreds or thousands of pounds – it is necessary to be a little more informed and careful than when buying a tin of beans. One of these devices is a once in a lifetime purchase, and my aim is to point you in the right direction of a supplier who is best placed from a point of view of where they are, what is offered and at what cost. … and from overseas, Freelift (from Holland) Thyssen (which make the Flow curved model and are a German engineering company) and the American giant Bruno which have a presence in the UK through distributors. Below is a brand-by-brand guide for your review. When my mum was unfortunately taken ill, we got in touch with Castle Comforts regarding a reclining chair, we found them to be very helpful. Dr Stirling has been a household name for many years and his caring approach has been known to all his patients. Similarly, Castle Comfort Centre has become a household name for all its help to those with mobility and health difficulties in Stoke on Trent, particularly with its stairlifts. Brilliant to know that Dr Stirling is one of the “faces” of Castle Comfort Centre – available and willing to advise and guide. Castle Comfort Centre has an amazing team and nothing is too much trouble! 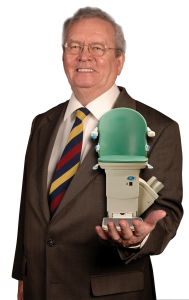 From personal experience, if you live in Stoke on Trent and are in need of a stairlift, the only contact you need is Castle Comfort Centre and Dr Stirling. Congratulations on brilliant customer care and long may it continue. Even before Dr Stirling became the “face of Castle Comfort Centre” I had the pleasure of being cared for by him. He was always reassuring and took the time to listen rather than being ruled by the clock ! I was devastated when he retired from practice but what a joy to find him involved with Castle Comfort Centre when we needed firstly our adjustable beds (what a godsend !) and then a stairlift for my Mum in her last weeks of life. God bless you, Dr Stirling, you are a wonderful person. A day or two after contacting Dr Stirling a curved lift – a reconditioned one was installed for me by a firm from Birmingham. It saved me a fortune on the cost of a new one and is just as good – -because at the age of nearly 99 It may only need it for 20 years more! It has given me a new lease of life. Apart from learning to use a a computer, having this stairlift is the best thing I have ever done. Thank you Dr Stiring from the bottom of my heart. Contact me or call Freephone 0800 007 5050 any time and you will be making the first sensible step to find out what in my opinion is the right direction in which to go.